Impact Wrestling announced another piece of contract news today, with Moose signing a new multi-year deal with the company. Moose did an interview with the Sporting News to reveal that he's re-signed with Impact. Eddie Edwards, Sami Callihan, Fallah Bahh, and Rosemary also re-signed with Impact last month. Madison Rayne is returning to the promotion, and Josh Alexander has signed a three-year contract with Impact. "I definitely want to be the World Champion, first and foremost," Moose told the Sporting News. "I always said I wanted to help Impact get back to where it was years ago. Everyday we take a step closer to doing that. I don’t want to leave when I know we are so close to getting there. We have some great guys on the roster. We just made some new additions that will definitely help the company and I want to be apart of that." 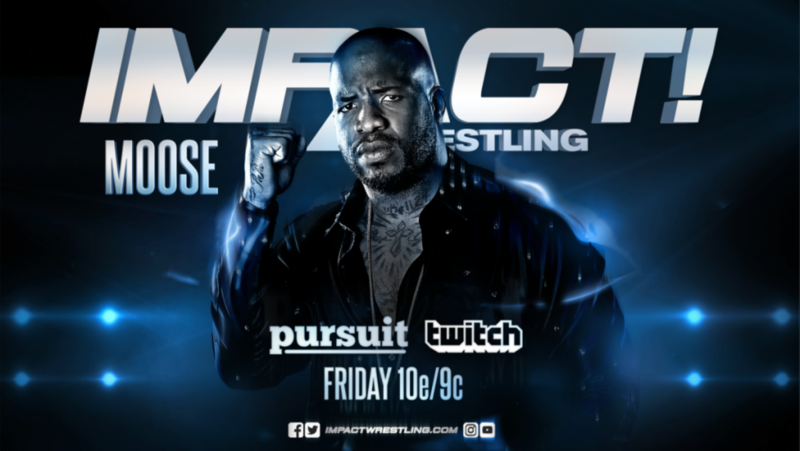 Moose signed with Impact in 2016 after leaving Ring of Honor. He's been involved in a program with Impact World Champion Johnny Impact, Brian Cage, and Killer Kross on television recently. Moose was an entrant in the Over Budget Battle Royale at All In last year.